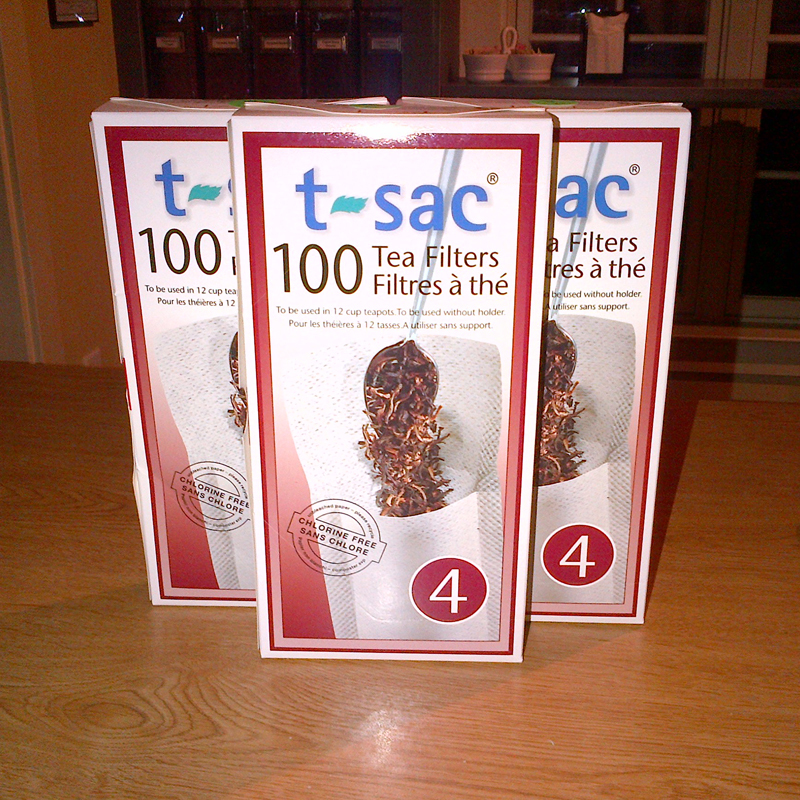 T-Sac #4 T-Sac Tea Filter 100 count. Sized for 8 cups of tea, perfect for making pitchers of ice tea. These filters are made of unbleached paper. Simply fill the bag with loose tea and put in cup of hot water, just like a tea bag. 100 count. Sized for 8 cups of tea, perfect for making pitchers of ice tea. These filters are made of unbleached paper. Simply fill the bag with loose tea and put in cup of hot water, just like a tea bag.